Popcorn, Salt and Kettle Corn Seasoning Oh My! Ok remember the other day I said about finding joy even in the little things..Well I found more joy today! I have had a yearning for popcorn for what seemed like months, however I can’t eat it because of digestive issues. Won’t go any further with that conversation..lol. anyway I knew one thing I could eat was hulless popcorn. I have searched high and low to no avail. I have found what they want to call hulless but in all reality it is nothing more then a glorified popcorn flavored cheese puff! Not what I wanted. Can you believe even Walmart does not sell hulless popcorn! What is wrong with these people! So today my Daughter April and my Grandson Ryan are out on an adventure and we go to Rural King (I was there the other day so I felt like the official spokesman for the store telling her where everything was) Anyway, as we are looking at all the different foods there in all it’s popcorn beauty with it’s big orange and black sticker I see it!! Is it true? 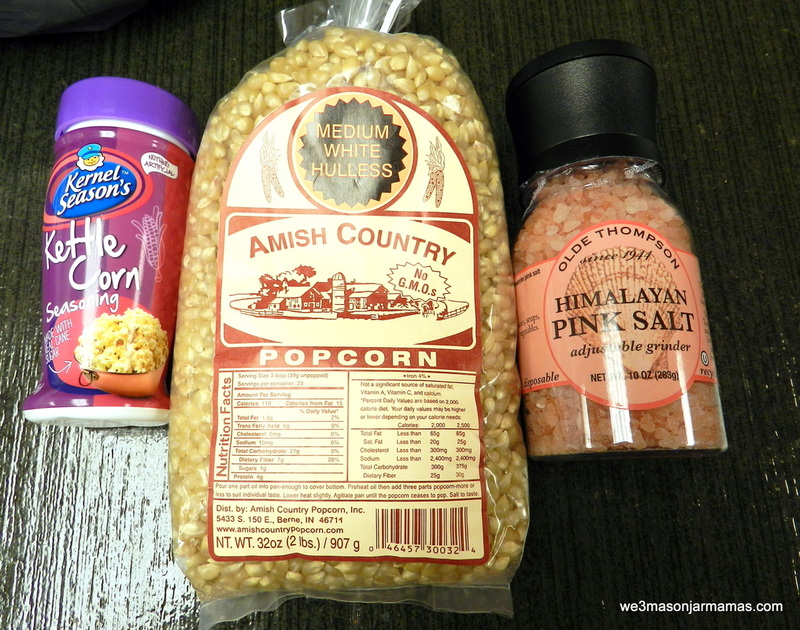 Amish Country popcorn! Medium White Hulless! And it is GMO Free! It can’t get any better! I think I skipped to the counter to pay for it. I could be wrong though.